At the end of a long day, you might go home, put your feet up, and enjoy your favorite premium cigar while you try to relax. As you enjoy your smoke, your mind may drift somewhere as you catalog the moments of your day. Suddenly, you might notice that your expensive cigar is burning unevenly. Uneven cigar burn is referred to as a “canoe” by cigar aficionados. The burning question of cigar smokers, especially the novices, is how to avoid this uneven attrition. 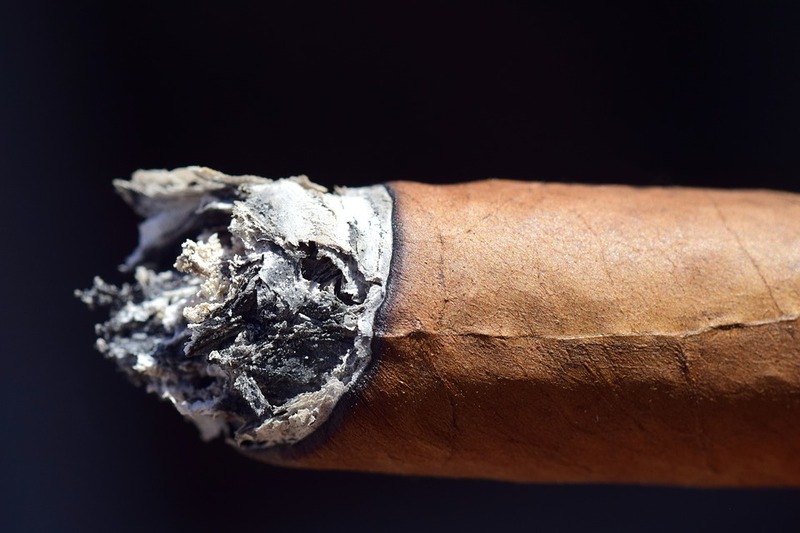 An uneven burn, or a bad burn, is often caused by rushing through the lighting of the cigar. Be patient as you light up so that you get the best burn possible. When you light your cigar, let the flame touch the bare foot of your cigar. Do not let the flame touch the cigar. Rather, you should toast the foot of the cigar until you see that part glowing. As you put the fire close to the foot of the cigar, you should start slowly turning the cigar between your middle finger and thumb. Do your best to avoid overheating a single spot at the foot of the cigar. Continue turning the cigar until its foot is evenly darkened. Extinguish your flame when you notice a glowing burn ring around the foot. You can start puffing your cigar now. There are cases when, no matter how careful you are in lighting the cigar, you will still develop a burn problem. If you like to smoke outdoors, there might be an erratic burn because of the wind. The bad burn can also be caused by uneven humidity within the cigar. It is also possible that the uneven burn is the result of poor rolling of the cigar. Premium cigars that are hand-rolled go through various processes with many people involved in the production. Cigar rollers are very meticulous in their work, but you cannot expect that every cigar produced will attain the desired perfection. You can correct an uneven burn by rotating the cigar so that the part that is burning slowly will be at the bottom of the cigar. Your cigar’s fire needs oxygen, and your cigar will burn faster where there is more of it. Putting the slow-burning part at the bottom will expose it to more oxygen, making it burn more quickly until it catches up with the fast-burning part. If this technique does not work, your last recourse is to get your cigar lighter and burn off the section of your cigar that is burning too fast. Don’t forget to take a puff along the way as you do this, though. Also, be careful to avoid falling ash if you do need to force the cigar to burn a little faster. You can’t prevent all bad burns on your cigars, but there are things you can do to lessen the chance of a canoe. Pay attention while you puff because the best way to correct a bad burn is to catch it early.